Employment insecurity is here to stay. Only a quarter of workers worldwide now have a "stable employment relationship," according to a new report by the International Labour Organization. It found that the rest are employed on a temporary or short-term basis, work in informal jobs without contracts, or in unpaid family jobs. The World Employment and Social Outlook report paints a grim picture of the world's labor market. The fallout of the global financial crisis is still being felt, with 61 million people out of work around the world. Part-time employment is rising, as workers can't find full-time jobs. All of this creates anxiety among workers. "These emerging trends are also a reflection of the widespread insecurity that's affecting many workers worldwide today," ILO Director General Guy Ryder said. The U.S. is doing better than most of the world. The report found that only 13.1% of American employees are not full time, compared to 16.7% of Australians, 22.9% of Brits and 27% of French workers. Over 60% of workers around the world lack any kind of employment contract, with workers in poorer countries experiencing the most insecurity. That ratio rises to 80% in sub-Saharan Africa and south Asia. 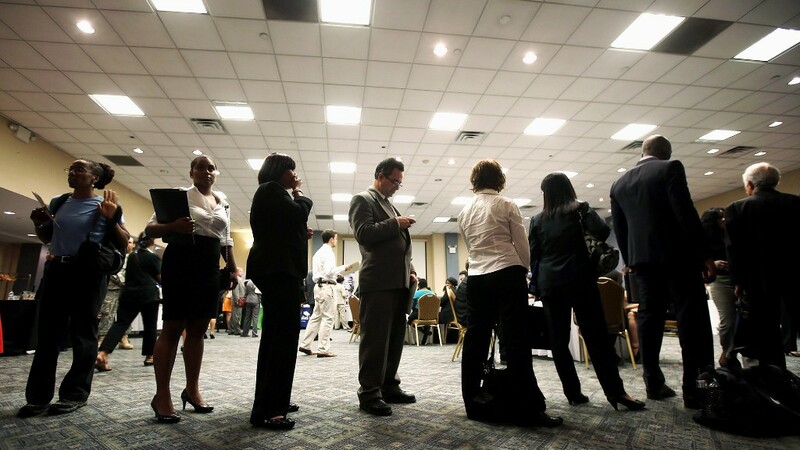 The report also said job insecurity is widening the global gap between rich and poor. Temporary, part-time, and informal workers are more likely to slip into poverty and social exclusion, the report noted.